I remember how much my mother cherished the Tupperware plastic containers she bought from Namdaemun market in late 1980s. Plastic bowls made in US was a revolutionary item for many South Korean housewives and a symbol of modern life. Probably brought by US army personnel and then sold to merchants in markets in Seoul, the Tupperware series always made my mother proud, as they kept food freshly sealed and were safe even if her playful kids threw them around. But not many could afford the American product. My mother, who then was in her late 20s, even had “Tupper-gye,” using a traditional Korean funding method in which members take turns to receive a lump sum, so that each of the friends could get Tupperware in turns, she recalled. 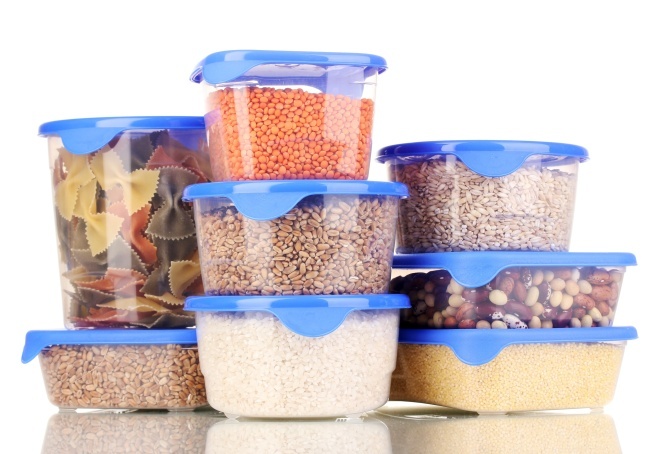 Light and unbreakable, plastics like Tupperware pervaded into our lives and brought us comfort and convenience that we take for granted today. And they are not just found in kitchenware. Plastics are featured as a fashion item such as Issey Miyake’s Bao Bao bag, one of my personal favorites, and in devices like TVs, laptop and smartphones. They are also a large component of the vehicles we drive today, thanks to the evolving technology that have increased the strength of plastics to near that of steel. Most importantly, plastic is the primary material for making disposable products, such as bags and bottles. Yes, plastics have become a big part of our lives. All those years, from my mother’s Tupperware to my waterproof Issey Miyake bag, we have enjoyed the privileges that plastics offered, not knowing how much it would cost us. On average, a Korean consumes nearly 132.7 kilograms of plastics a year, a lot more than an American at 93.4 kilograms and a Japanese at 65.8 kilograms, according to recent data from the Ministry of Environment. The more we consume, the more we throw away. As of 2016, Koreans were dumping 20,000 metric tons of plastic garbage a day or 7.15 million tons a year. Koreans being heavily dependent on plastics has helped the nation’s petrochemical companies thrive. The prospects for their businesses is even brighter as they see the growing demand for plastics not only from the domestic market but also from emerging markets in Asia, such as Vietnam, according to market analysts. And marking the June 5 World Environment Day, I decided to try and ditch the privileges that plastics offered, at least for a day. Taking a tumbler and a canvas bag for grocery shopping later in the evening was a good starter. But it required a little more courage to say “no” to a plastic straw, cup and plate at the sandwich chain I visited for lunch. “Sorry, ma’am, we only have plastic products.” I could feel the impatient stare from the people standing behind me for delaying the line at their busy lunch hour. To stick to my one-day mission, however, I left the sandwich shop and looked for others that do not use plastic products at Coex Mall, commercial center in Gangnam, Seoul. Unsurprisingly, there were none. I had to choose either to starve or cave. To my shame, I chose the latter so that I could quickly finish my meal and meet my afternoon deadline. A supermarket I visited in the evening was a mecca for plastic. Apples wrapped individually in cellophane and displayed on styrofoam molds, excessively packaged snacks and a roll of sliced pork belly in a plastic container and wrapped in clear plastic wrap once again. ... There was nothing I could buy without plastic. Back at home, my son poured out a bag of plastic Lego while aligning an army of dinosaur figures made of plastic on an anti-noise play mat. He then opened a delivery box, thinking that it could be his new toy. It was in fact a bottle of jojoba oil I ordered online. After unwrapping several layers of bubble wrapping that appeared to be at least a meter long, a 50 milliliter bottle came out in plastic container. For dinner, my 8-year-old boy asked for his favorite jjajangmyeon, a kind of black bean noodles. Forget about the healthy dinner. Minutes later, thanks to Korea’s fast delivery system, the Korean-Chinese dish was now on our table, brought in disposable plastic bowls wrapped tightly in polythene. The restaurant recently decided to use disposable bowls, instead of reusable plastic containers so that the delivery guys don’t have to come back to pick up the dishes, the delivery man told me. Excuse my lack of will. But it may have been an impossible mission from the start. Despite public campaigns that show turtles stuck in plastic netting and a dead whale with 80 plastic bags found in its stomach, the public appears unwilling to change their behavior. President Moon Jae-in stressing the need to do away with plastics on the occasion of the World Environment Day this Tuesday, is noble, but feeble. The deadly devastation that we are furtively creating daily is overwhelmed by the quick pleasure of a cold Americano drunk through a plastic straw from a plastic cup, probably the same sense of oblivious comfort I felt with my mother’s Tupperware.